1. How has the conclusion of the Sermon on the Mount been anticipated for several weeks? 2. Discuss the outline given for the Sermon on the Mount. Which sections have been the most formative for you? 3. What would it look like to make the Sermon on the Mount foundational for your Christian life and for our Gospel Community Group? 4. In what ways have you been “astonished” by Jesus’ teaching? Why is astonishment not enough? 5. Where do you see Jesus’ authority displayed in the Sermon on the Mount? 6. 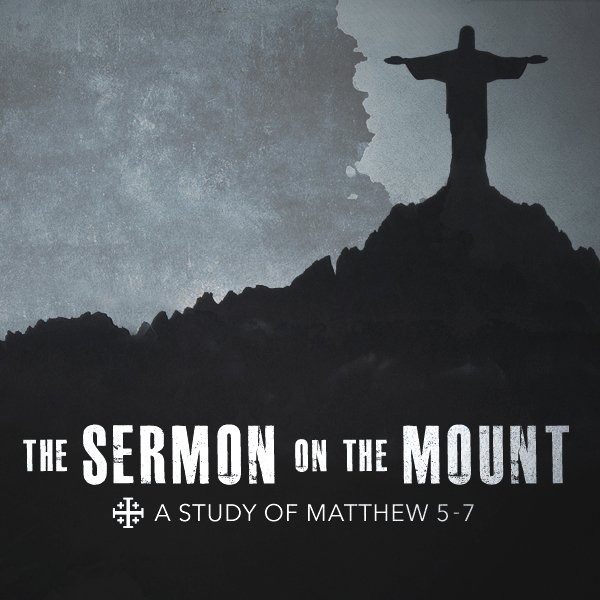 How has the Sermon on the Mount increased your appreciation of Jesus and desire to follow him? 1. Why have Jesus’ words in Matthew 7:13-27 been so hard and uncomfortable to hear? In the words of D.A. Carson, is Jesus trying to frighten people into the kingdom? 2. What are the differences between the two houses portrayed in this passage? 5. How does the Parable of the Sower help us to answer the “Why” question? 2. In what ways does this passage highlight human responsibility? How does it challenge you? 3. What distinguishes the narrow gate/way from the one that is broad? 6. What does it mean to say that a choice between life and destruction or heaven and hell is really a choice between Christ’s presence and his absence? 4. How does the Sermon on the Mount push us both towards self and away from self at the same time? 2. In what ways have you seen prayer as a “duty” or a “key”? 6. What are some implications of this passage for parenting? 1. What does it look like to have a Christian life that is “motion, but no progress”? How does this passage hold out the possibility of a fresh start? 3. What do you tend to substitute for prayer? 4. In what ways can our spiritual disciplines end up being prayerless? What should be the relationship between Bible reading and prayer? 6. Where do we see Jesus’ emphasis on persistence in prayer? 1. How has Jesus’ teaching against judging been hijacked and misused in our culture? 2. What are some instances in which God has convicted you of judging or criticizing other Christians? How has this attitude and behavior negatively affected your relationships? 6. Why does dealing with our own sin enable us “to see clearly” (v. 5)? 1. How does this passage heighten your seriousness about worry? How is worry the opposite of hallowing God’s name? 2. In what ways do you see the pervasiveness of worry in the world? What does it mean to say that we must avoid world intake without Bible intake? 1. In what ways do you struggle/ have you struggled with worry? Discuss specific situations as a group. 2. What does it mean to say that seeking and worrying are inextricably tied together? How does this passage relate to the previous section dealing with our treasures, vision, and master, and how does that alter the way you think about worry? 2. How does laying up treasures in heaven flow out of faith and hope? (Hebrews 11:6). 4. In what ways have you personally experienced earthly treasures as corruptible, perishable, and temporary? 5. Consider the following questions as you think about your own treasure: What occupies your thoughts when you have nothing else to do? What fills your daydreaming and worrying? What are you most terrified of losing? 6. How does what we treasure both come out of and shape our hearts? 1. How has our time spent studying the model prayer most impacted your attitude towards prayer? 3. Why is the holiness of church officers (elders and deacons), and all Christians for that matter, important for the hallowing of God’s name? 4. Why does praying for God’s will to be done lead us to pray for a Bible-saturated life? 5. How do church officers serve as one of God’s means for providing his people with daily bread? 7. Why do church officers in particular need constant prayer for spiritual protection? 2. Where do we see our weakness and vulnerability in the Lord’s Prayer and in the final petition in particular? 5. How is Satan often active in the small things? 6. Why must our confidence be in Christ and not ourselves as we face temptation? 4. How does Colossians 2:13-14 vividly portray our “Past Pardon”? 6. In what ways have we already seen the relationship between God’s forgiveness of us and our forgiveness of others in the Sermon on the Mount? tried using the Lord’s Prayer as a skeleton for your prayers? 2. What does it look like to really believe that God rules, owns and dispenses? God cares even for your smallest, seemingly insignificant physical needs? 1. In what ways have you been most challenged as we’ve discussed the topic of prayer? How has your own self-examination revealed pretentious, mindless, fatherless, Christ-less, self-centered, or infrequent prayers? 3. When it comes to the salvation of others, do you really think your prayers matter? To what extent do you think God wants to accomplish his purposes through your prayers? 4. If the kingdom of God is “a matter…of righteousness and peace and joy in the Holy Spirit” (Romans 14:17), what does it look like to grow as a kingdom citizen? 6. How can we easily become self-centered in praying “your will be done”? How does the structure of the Lord’s Prayer help us to understand the meaning of this petition? 2. How does this address – “Our Father in heaven” – instruct us not to pray in isolation? What does it look like to interlace our prayers with intercession? 1. How is prayer both assumed and commanded in our passage? Why should prayer be a habitual way of life for the Christian? 2. Why is prayer the greatest test for spiritual life and health? 3. What is the “wrong thinking” as well as “thoughtlessness” that Jesus is criticizing in pagan approaches to prayer? Discuss the mindset reflected in the prayers of the prophets of Baal in 1 Kings 18:26-29? 4. How do we love God with our mind in prayer? What does it look like to heap up empty phrases, and how can we avoid it? 5. Do you find yourself trying to win God’s favor when you pray? Do you think you need to inform him of your needs? How does Jesus’ emphasis on God as our “Father” instruct us? 6. What does it mean to tailor our prayers to the priorities and purposes of God? How could you practically begin using The Lord’s Prayer as a model, guide or skeleton for your prayers? 7. When it comes to The Lord’s Prayer, what does it mean that we have a tendency “to invert and then erase”?